What is NeverEnding Fairytales? 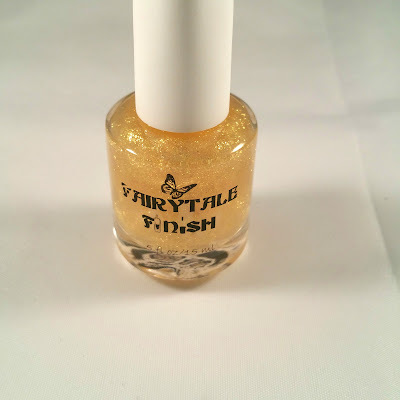 : NeverEnding Fairytales is a monthly subscription box by the indie polish maker, Fairytale Finish. Each month has its own theme and comes with one or two polishes (depending on what you choose) and sometimes extras! Not only can you get your subscription fix from Fairytale Finish, but she also makes gorgeous polishes and top coats! How Much is NeverEnding Fairytales? : With Fairytale Finish, there's two options when you start your subscription! 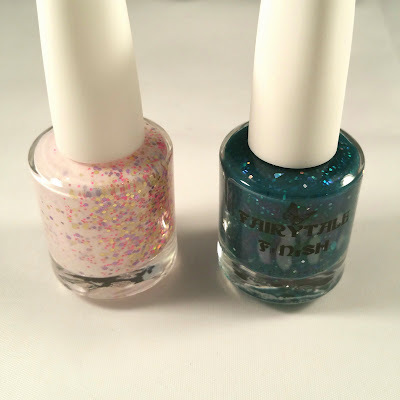 You can choose to get one polish ($9.00/month) or two polishes ($16.00/month). I choose to get the two polish subscription, only out of fear I won't get the polish I want for the month! If you want to see past months, click here! Here's a hint for subscriptions, tying things with a bow makes me love it infinitely more. Also, she attached these decals to try out! The fact that a subscription sends a personalized card baffles me. It's such a neat touch. Unicorn Princess - A great light pink base that's packed with pink, purple, and gold glitters of different sizes. It went on so smooth and the glitters look so great next to the base, the perfect match. For having so many glitter pieces, it went on super easily and leveled out almost immediately. 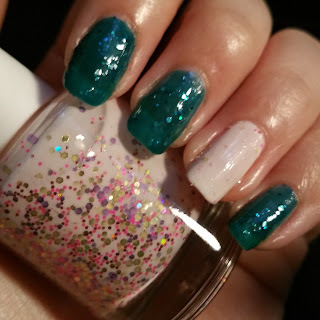 Mermaid Tears - I had a bit of trouble with this polish at first, it was just a little too runny to begin with. After I worked with it a bit, I was able to use it with no problems. It's a jelly polish, so you can see my actual nail in the manicure pictures below. This is Jay's Dust, a top coat that is offered for sale on Fairytale Finish currently. There was a delay with getting the new labels for the bottles, so the option was given to have the subscription shipped immediately without the label or wait until the labels came in. Due to the delay, the maker offered an option of top coats to get as an extra. This is great customer service in my opinion, because she definitely didn't have to do that at all! 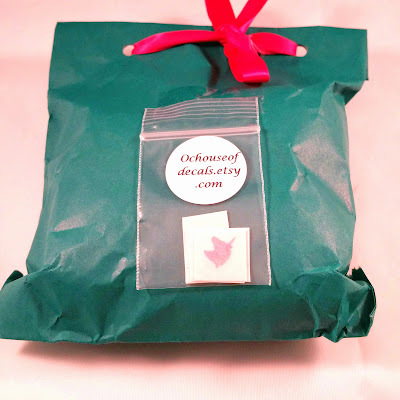 When the labels came in, there was an extra label and stickers to put wherever you might want, as well as some charms for your nails. I can't believe all of the extras that she sent and it makes me feel like she cares! In this picture, you can definitely see the 'squishy-ness' of Mermaid Tears. 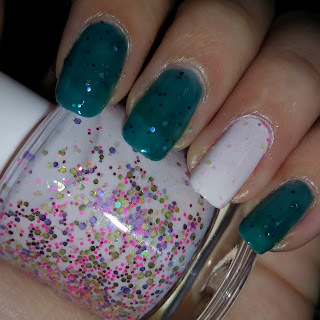 I rarely use jelly polishes, but using this made me reconsider my dislike of them. This picture better displays the shade of pink in Unicorn Princess. 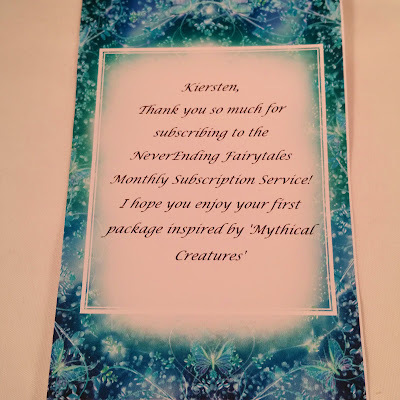 Overall, I was pleased I tried out this subscription from Fairytale Finish and I will definitely be continuing on with getting it. I love how there's an option of getting one or two polishes, and I am going to continue getting the option with two. 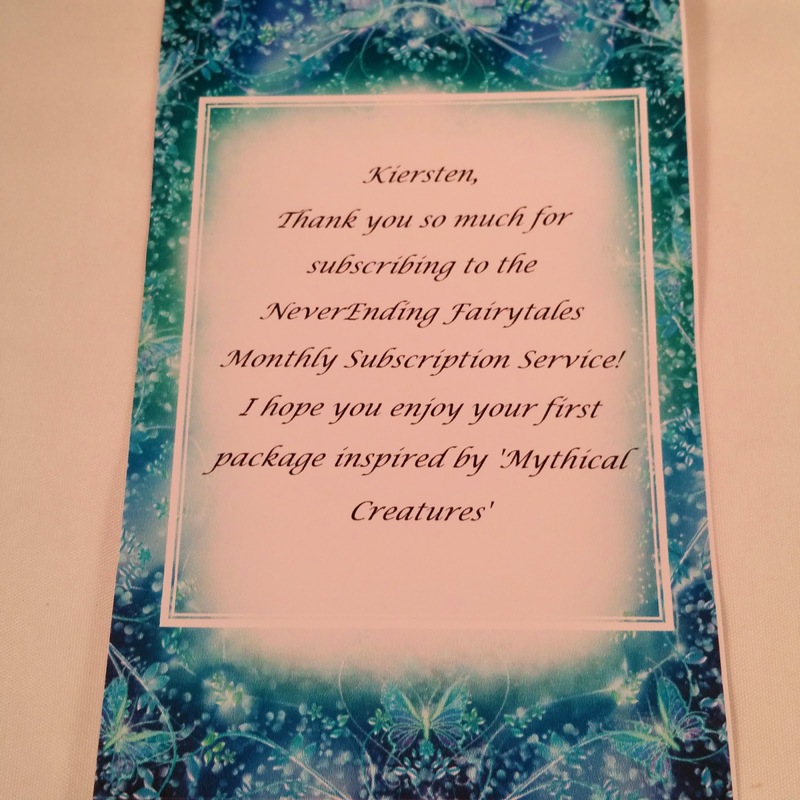 As always, let me know what you thought about this subscription in the comments! Those are some fun and girlie nail polish shades!